Rumors in the Russian press sow doubts into the future of joint development projects in the Arctic. Russia’s Energy Ministry is working to confirm the information. Energy Minister Alexander Novak said that the ministry has not received any official notice of a withdrawal. 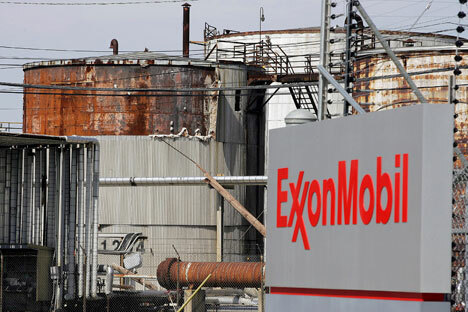 A representative of ExxonMobil told Russian daily Kommersant that the company will comply with any sanctions put in place by the U.S. government against Russia, but so far the situation has not had an impact on the company and its plans remain unchanged. The regional administration would not comment on the Exxon statement. Sakhalin-1 – is the first of three Russian Production Sharing Agreements with foreign firms. The recoverable reserves are estimated at 307 million tons of oil and 485 billion cubic meters of gas. The main production field is Chayvo. Production was launched the Odoptu field in 2010. ExxonMobil expects to start production of oil in the Arkutun-Dagi field at the end 2014. Nevertheless, total production this year may fall by 6 percent – to 6.6 million tons. Energy Minister Alexander Novak, commenting on the publications of Russian media, said that the ministry has not received such information and that it requires validation.